Replace corroded expanders to restore parking brake efficiency. Supplied complete with a grease sachet. Part numbers cover over 100 popular applications. We're now operating from our bigger, brand new Distribution Centre near Filton, Bristol. Now extended to cover all parts in our range. Our IMI Approved training programme will help technicians develop and refine their skills for servicing mechanical and hydraulic braking systems. Make the most of your Apec products with the 2 year/ 24,000 mile guarantee scheme. You'll find our latest product additions in the Resources section. You'll find our latest technical bulletins in the Resources section. New to our wide range of accessories and consumables specially designed to work in harmony with Apec products. Apec is constantly developing its products and is committed to making them better for the environment, with new technology and materials. 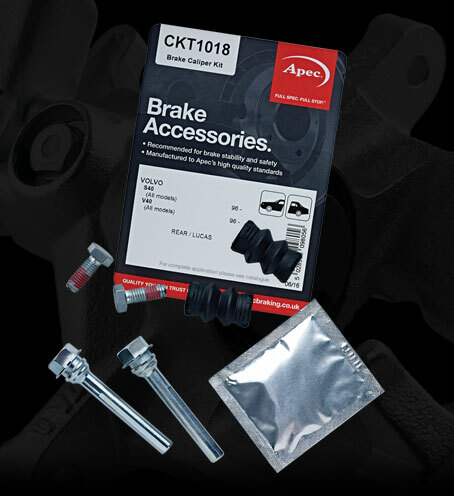 Apec Caliper Kits are available now from your local factor. 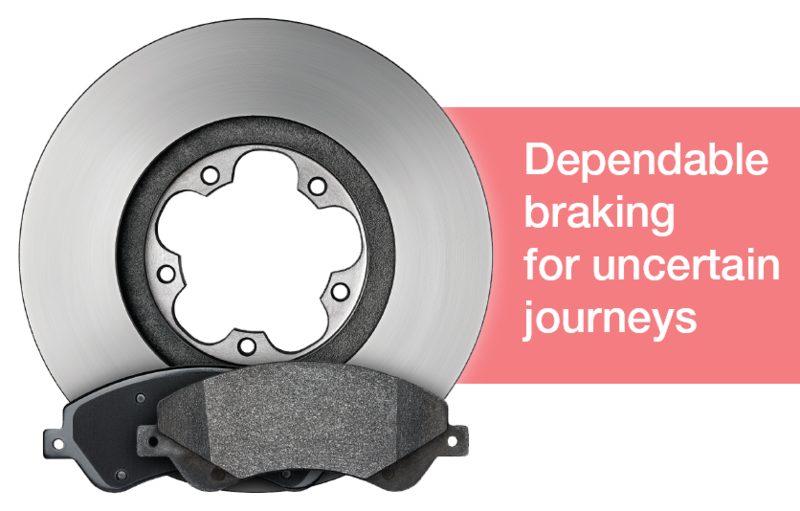 Uneven pad wear and braking is often caused by a seized brake caliper slider. A failed slider seal will allow moisture into the caliper, so the slider rusts and prevents smooth operation. Apec caliper slider kits contain new sliders, seals, slider lubricating grease and mounting bolts - all you need to service a caliper. Over 100 part numbers covering over 800 Apec Brake Calipers.